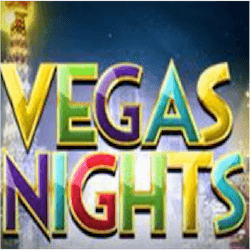 Pragmatic Play announced the release of a new pokie called Vegas Nights. As the name implies, this game takes its theme and inspiration from the city of Las Vegas. This 3×5 slot features a beautiful Vegas showgirl as the main character as well as the highest value in-game symbol. The bright neon graphics perfectly emulates the feeling of driving down the Vegas strip and seeing all the world famous casino sights. While it certainly is not an original theme, Pragmatic Play, the developer of this pokie, has done an amazing job capturing the atmosphere of the world famous city. Vegas Nights includes a casino chip wild symbol that appears on reels 2, 3, 4 and 5 as well as a special Super Wild symbol represented by a golden chip that appears on reel 5 only. When this golden Super Wild lands in the middle of reel 5, the Extra Wilds re-spin feature activates. This special bonus will give you 3 instant re-spins where the Q, J, Super Wild and Game logo symbols are all replaced with the standard Wild symbol. Additionally, the wild symbols will add multiplier to your wins, depending on how many wild icons form part of the triggering winning combination. You will generally receive a 2x to 3x multiplier, but you can potentially get an 81x multiplier added to your wins. While these bonus games aren’t reinventing the wheel, they ensure a very solid and rewarding play experience. The atmosphere present in this slot makes every spin fun to play, regardless of how much you are winning. The pokie has 25 paylines that players can activate and it includes an Auto Play feature and is fully mobile compatible. 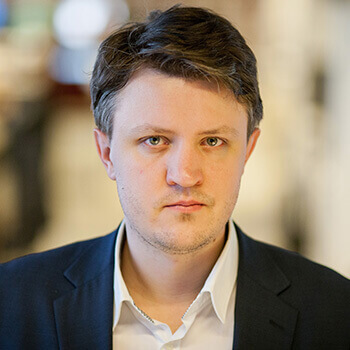 Pragmatic Play is a relatively new developer who first opened its doors in 2015. They already have built up an incredible reputation and they have released more than 80 online pokies worldwide. They have created another rock solid Pokie with Vegas Nights which certainly will do their reputation justice. Head of Business development at Pragmatic Play, Yossi Barzely, stated that the company is proud to reveal this new pokie for fans. They feel that Vegas Nights will carry on their reputation as providers of immersive and multi-layered pokie experiences. Pragmatic Play has managed to release two new pokies each month this year. Their first release this month was the magically themed Wild Spells pokie. They already have a very sizable pokie collection and Vegas Nights will be a welcome addition.